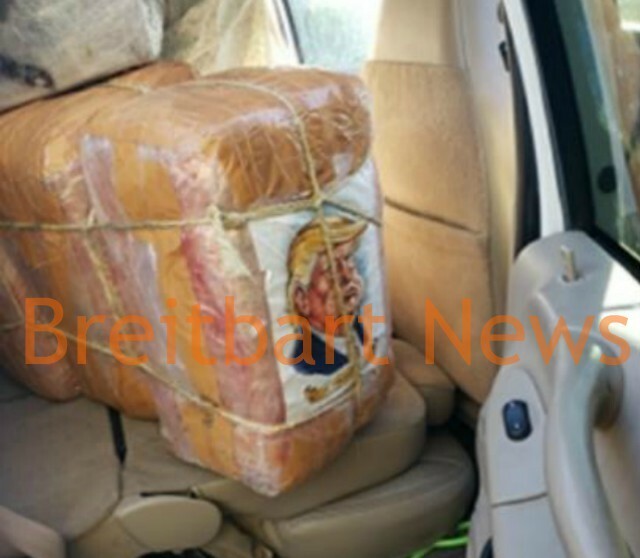 MCALLEN, Texas – Cartel drug smugglers moved a 900-pound shipment of marijuana bearing a cartoon of U.S. President Donald Trump into Texas. The cartoon appears to mock President Trump and his border security comments. 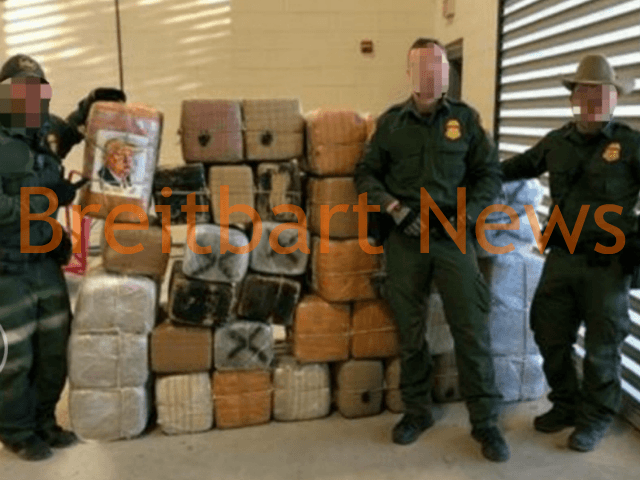 Border Patrol agents seized the load, preventing its delivery into the U.S. 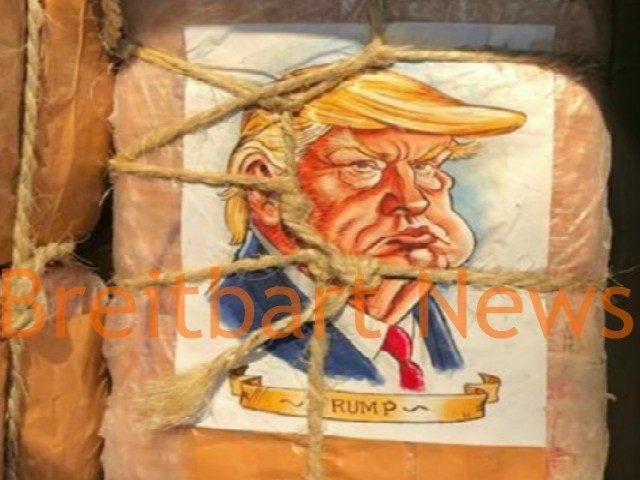 Smugglers marked some of the drug bundles with a caricature of President Trump to not only identify the drug shipment but also to mock the politician. The Gulf Cartel, the criminal organization that operates south of McAllen, Texas, has used several different images to identify their drug loads including scorpions and popular comic book heroes. It is not known if cartons of Donald Trump have been used in the past. 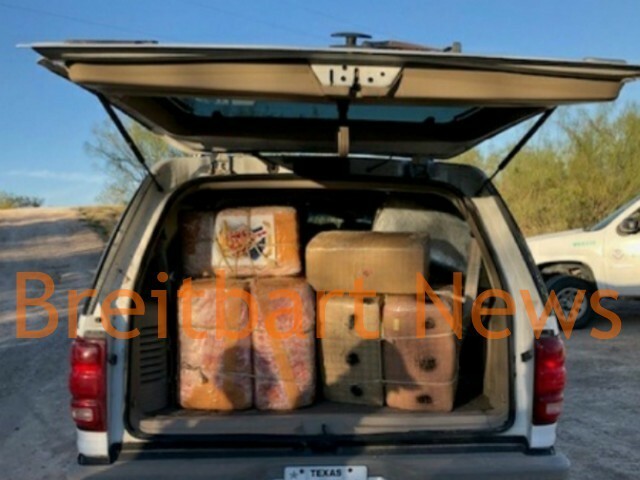 Rio Grande Valley Sector Border Patrol agents seized the load this weekend in South McAllen after spotting several men on the Mexican side of the Rio Grande carrying bundles of marijuana towards the river, law enforcement sources working under the umbrella of U.S. Customs and Border Protection revealed to Breitbart News. Some of the men made their way to the U.S. side but swam back as soon as they spotted federal authorities. U.S. Border Patrol agents called Mexican authorities to request their help in capturing the men. Mexico responded, saying no one would be responding to the area. An hour after the initial smuggling attempt, U.S. Border Patrol agents spotted a group of men in rafts trying to move several bundles of marijuana across the river. Federal agents responded to the scene and found nine men. The men quickly ran back to Mexico leaving behind a white SUV loaded with 40 bundles of marijuana.